The Australian Association for Environmental Education has announced a small grant opportunity for the development of resources, products, or activities. The announcement of this grant has been timed with World Environment Day and acts as a celebration of the ongoing vision AAEE has for environmental education. In the 2018 round, AAEE has allocated $10,000 from its charitable fund towards these small grants. Projects need to have national significance and be tailored towards the important environmental issues of our time. 4. potentially be a saleable product or income generating activities or events. A total of $10,000 is being allocated by the AAEE Executive. Individual applications will not exceed $5,000 (inclusive of GST). Download the 2018 Grant Guidelines and Application form. Applications closed 7 July 2018. Submit your form via email to admin@aaee.org.au. On behalf of the AAEE Executive we would like to congratulate the following projects on receiving funding support for their World Environment Day 2018 applications! These grants were created to help AAEE realise part of its strategic plan to leverage the knowledge and expertise of our members. In Find the Frog nature puzzle there is a Booklet and ten different Posters. The images show frogs' camouflaged in an urban garden and they become harder to find as the pages progress in the Booklet. There is an answer sheet at the back. BOOKLETS: A5, 44 pages, colour images with Answer Sheet at the back. POSTERS: A1, colour. Ten different images to choose from. They can be used individually or as an Art Installation for events such as World Environment Day, Science Week, Wetlands' Day or other Community Events. The products promote engagement with nature through light- hearted observation and problem solving and are suitable for children ages 3-8, or the whole family to enjoy. They can be ordered individually or in bulk. Co-­Designing a Climate Change App with Young People, Educators and Community. As part of the NSW Environmental Trust Grant ‘Climate Change and Me’ (2014-­2017) a basic web-­based climate change personality profiler was co-­designed with children and young people. The web application has been highly successful with over 5,000 uses to date particularly in NSW and across Australia. In this project it proposed to extend this early work by co-­designing a climate change app revealing a person’s climate change personality, footprint and suggested actions. There are few quality climate change education app resources making this project timely and highly novel in supporting environmental educators in climate change education. 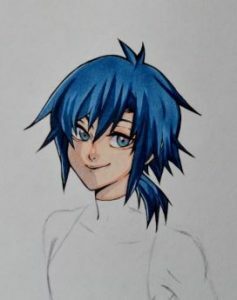 Pictured is Aoi which is one of the profiles for the first web version of the CC+Me profiler. 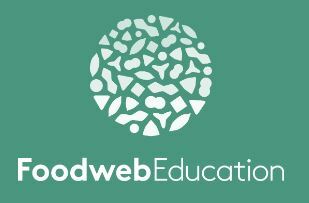 Book and resource kit - developed by Megan Floris from FoodWeb Education. The publication of a children’s book that is a simple and fun, yet powerful and transformative teaching tool that introduces children to the concept of material cycles on Earth, including through human society. It uses a fun and personalised approach to developing an understanding of, habit of mind and the skills to analyse the life cycle of products. The message of the story is subtle yet inherently challenging, revealing a different way of approaching material 'things' and human behaviour. It’s delivery and tone encourages and develops curiosity for investigating where something comes from, where it goes and what happens to it along the way. The book is accompanied by curriculum aligned resources and extension activities.